Stand out and tell your story. Market your business with professional video production. You don’t need us to tell you how important video marketing is for business. You’re here to find a reliable, affordable and professional option for video content. You came to the right place. Begin the process with a comprehensive overview of your needs, goals and expectations. Together we can create something powerful. Your vision put into action with an expert team and high-quality equipment. We handle every aspect of the recording process. Whether your completed project will be sent off to your local TV station or YouTube, we will export you project as needed. Our submission to this year’s AIA Film challenge! We connected with Miami architects Reinaldo Borges and Elizabeth Camargo to learn more about their efforts in their community to solve issues related to sea level rise. Tank Oil Shipping is a ship agent service based out of Cartagena, Colombia. They contacted us to create a video that they could show during sales meetings or in their marketing materials, to visually introduce their company and what they do. Dynasty Cycles needed a video to promote their motorcycle shop and give customers some info about them and their services. We took the time to meet with them and discuss video style options, then later shoot the video at their location and provide a finished product in less than a week. Atlantic Coast Contractors is a local roofing company that wanted to document the process of installing a non-skid coating on a balcony walkway. They use this video to sell this product as well as explain to their customers how the product is installed. I’ve worked with Ari personally and she is superb. Her rates are very reasonable, she’s very responsive, quick and super professional. I would recommend her with my eyes closed. REN Media made my Kickstarter video and holy cow I loved it. Not only did REN make a great video for us, they had a great attitude! Everyone at our party enjoyed their presence and fun attitude. We can’t wait to have them film our next family or company event. 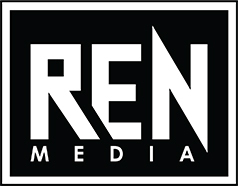 REN Media is a legitimate, reliable, high-end yet affordable video production company. As a Marketing Director constantly needing video production to improve our SEO ranking and follower engagement on Social Media, I would HIGHLY recommend REN Media to ANY company looking to grow. We have been working with REN Media for over three years now and will always continue to choose them for our media productions. They have helped us blow our competitors away!